Hanns and Rudolf reveals for the very first time the full, exhilarating account of Höss’s capture, an encounter with repercussions that echo to this day. Moving from the Middle Eastern campaigns of the First World War to bohemian Berlin in the 1920s to the horror of the concentration camps and the trials in Belsen and Nuremberg, it tells the story of two German men- one Jewish, one Catholic- whose lives diverged, and intersected, in an astonishing way. Hanns Alexander’s funeral was held on a cold and rainy afternoon three days after Christmas. Considering the weather, and the timing, the turnout was impressive. More than three hundred people packed into the chapel. The congregation arrived early, and in full force, grabbing all the seats. Fifteen people from Hanns’s old bank, Warburg’s, were in attendance, including the former and current CEO. His close friends were there, as was the extended family. Hanns’s wife of sixty years, Ann, sat in the front row, along with the couple’s two daughters, Jackie and Annette. The synagogue’s cantor recited the Kaddish, the traditional Jewish prayer for the dead. He then paused. Looking down upon Ann and her two daughters, he delivered a short sermon, saying how sorry he was for their loss and how Hanns would be missed by the entire community. When he had finished, two of Hanns’s nephews stood to give a joint eulogy. This piqued my interest. For Hanns Alexander was my grandmother’s brother, my great-uncle. Growing up, we had been cautioned not to ask questions about the war. Now I learned that Hanns may have been a Nazi hunter. The idea that this nice but unremarkable man had been a Second World War hero seemed unlikely. Presumably, this was just another of Hanns’s tales. For he was a bit of a rogue and a prankster, much respected for sure, but also a man who liked to play tricks on his elders and tell dirty jokes to us youngsters, and who, if truth be told, was prone to exaggeration. After all, if he had really been a Nazi hunter, wouldn’t it have been mentioned in his obituary? We live in an age when the waters are closing over the history of the Second World War, when we are about to lose the last remaining witnesses, when all that is left are accounts retold so many times that they have lost their original veracity. And so we are left with caricatures: Hitler and Himmler as monsters, Churchill and Roosevelt as conquering warriors, and millions of Jews as victims. Yet Hanns Alexander and Rudolf Höss were men with many sides to their characters. As such, this story challenges the traditional portrayal of the hero and the villain. Both men were adored by their families and respected by their colleagues. Both grew up in Germany in the early decades of the twentieth century and, in their way, loved their country. At times, Rudolf Höss, the brutal Kommandant, displayed a capacity for compassion. And the behavior of his pursuer, Hanns Alexander, was not always above suspicion. This book is therefore a reminder of a more complex world, told through the lives of two men who grew up in parallel and yet opposing German cultures. It is also an attempt to follow the courses of the two men’s lives, and to understand how they came to meet. And the attempt raises difficult questions. How does a man become a mass murderer? 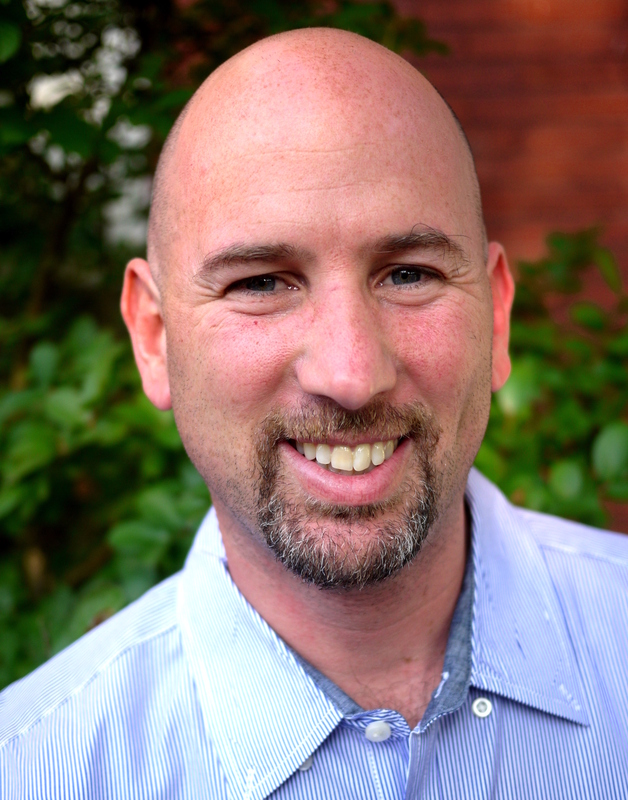 Why does a person choose to confront his persecutors? What happens to the families of such men? Is revenge ever justified? Even more, this story is an argument that when the worlds of these two men collided, modern history was changed. The testimony that emerged proved particularly significant in the war crimes trials at the end of the Second World War: Höss was the first senior Nazi to admit to executing Himmler and Hitler’s Final Solution. And he did so in great and shocking detail. This testimony, unprecedented in its description of human evil, drove the world to swear that such unspeakable atrocities would never again be repeated. From this point forward, those suffering from extreme injustice could dare to hope for intervention. It is also the story of surprise. In my comfortable north London upbringing, Jews—and I am one—were cast as the victims of the Holocaust, not its avengers. I had never really questioned that stereo-type until I fell into this story. Or, to be more accurate, it fell to me. This is a Jew-fighting-back story. And while there are some well-known examples of resistance—uprisings in the ghettos, revolts in the camps, attacks from the woods—such examples are few. Each should be celebrated, as an inspiration to others. Even when faced with profound brutality, hope for survival—and perhaps revenge—is still possible. This is a story pieced together from histories, biographies, archives, family letters, old tape recordings and interviews with survivors. And it is a story that was, for reasons that I think will become clear, never fully told by the men at its heart: Hanns and Rudolf. Thomas Harding is a former documentary filmmaker and journalist who has written for the Financial Times and The Guardian, among other publications. He founded a television station in Oxford, England, and for many years was an award-winning publisher of a newspaper in West Virginia. Hanns and Rudolf is his first book. He lives in Hampshire, England. – Richard Breitman, Author of The Architect of Genocide: Himmler and The Final Solution and Editor-in-chief of the U.S. Holocaust Museum's Holocaust and Genocide Studies. "Thomas Harding’s Hanns and Rudolf not only declines to forget, but challenges and defies the empty sententiousness characteristic of those who privately admit to being “tired of hearing about the Holocaust.” In this electrifying account of how a morally driven British Jewish soldier pursues and captures and brings to trial the turntail Kommandant of Auschwitz, Thomas Harding commemorates (and, for the tired, revivifies) a ringing Biblical injunction: Justice, justice, shalt thou pursue". "Outstanding, outstanding, outstanding! I was riveted to the text. Thomas Harding writes superbly, the storyline is better than any contrived mystery, and a compelling part of history. I see a movie here....because while there is almost a saturation of Holocaust books and movies, this is most compelling because it is about PEOPLE, the deranged Nazi who didn¹t give any thought to what he was doing and murdered in cold blood and the German Jewish refugee, a charming but rather regular fella, who got caught up in a history-making capture that turned the course of the Nuremberg trials." "A fascinating, well-crafted book, entwining two biographies for an unusual and illuminating approach to the history of the Third Reich, its most heinous crime and its aftermath." "This fascinating book, based on the gripping story of one man’s unrelenting pursuit of Rudolf Höss in his search for justice, confirms my belief that much of the most important knowledge of the Holocaust, comes from the personal accounts of those involved. Hanns and Rudolf vividly brings to life, not only the impact of Hitler’s anti-Semitic policies on the author’s German Jewish family, forced to flee Berlin in the 1930s; but shows how an ordinary German farmer became one of the most feared and notorious war criminals in history, implementing with chilling efficiency the extermination of over a million Jews in Auschwitz. As awareness of the full horror of these dark years continues to advance, this book fills a unique and vital role." "Its climax as thrilling as any wartime adventure story, Hanns and Rudolf is also a moral inquiry into an eternal question: what makes a man turn to evil? Closely researched and tautly written, this book sheds light on a remarkable and previously unknown aspect of the Holocaust - the moment when a Jew and one of the highest-ranking Nazis came face to face and history held its breath." "This is a stunning book. Rudolf Höss' descent into the horror of mass murder is both chilling and deeply disturbing. It is also an utterly compelling and exhilarating account of one man's extraordinary hunt for the Kommandant of the most notorious death camp of all, Auschwitz-Birkenau." "Only at his great uncle’s funeral in 2006 did Thomas Harding discover that Hanns Alexander, whose Jewish family fled to Britain from Nazi Germany in the 1930s, hunted down and captured Rudolf Höss, the ruthless commandant of Auschwitz, at the end of WW2. By tracing the lives of these two men in parallel until their dramatic convergence in 1946, Harding puts the monstrous evil of the Final Solution in two specific but very different human contexts. The result is a compelling book full of unexpected revelations and insights, an authentic addition to our knowledge and understanding of this dark chapter in European history. No-one who starts reading it can fail to go on to the end." 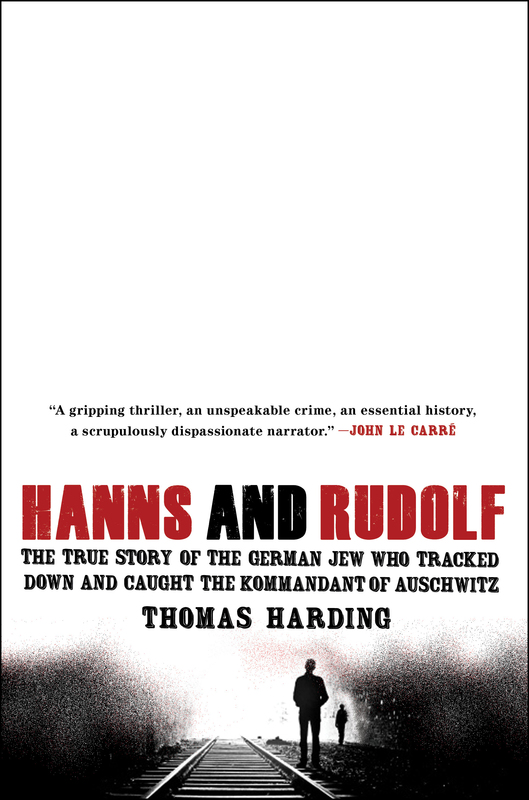 "Written with the verve of a writer and the sure touch of an historian, Thomas Harding's Hanns and Rudolf is a fascinating, fresh, and compelling work of history." "The protagonists' individual choices and family backgrounds give this biographical history a unique, intimate quality"
"A gripping thriller, an unspeakable crime, an essential history." "Thomas Harding has shed intriguing new light on the strange poison of Nazism, and one of its most lethal practitioners... Meticulously researched and deeply felt." "Fascinating and moving...This is a remarkable book, which deserves a wide readership." "Written with admirable restraint... [Hanns and Rudolf] fascinates and shocks."